Your home is an extension of your mind. We turn RICA’s focus of self care towards home care, because as Big Mama used to preach, “a clean home is a happy home.” And a happy home can be the first step towards a happier, more serene you. Join us for some spring cleaning rituals with RICA. Welcome. It’s Springtime and many of us are ready to clear out our hibernation chambers after a long cold winter hold up indoors. It can seem like another chore to check off an endless list of “to-do’s,” but what if cleaning your home is part of the ritual? What if taking time to slow down, light a candle and bask in a safe space that you manifested is just what the doctor ordered? Our studio kitchen space was originally run out our Brooklyn brownstone. It was as important to us that the space felt like a southern farmhouse kitchen. Like the ones where, founder, Dr. Kristina Ivy’s grandmother and great great grandmother would gather with family and friends to talk, gossip and heal through a listening ear, a shoulder to cry on, good eats and hand mixed bath + body “Comfort Food For The Skin.” Here in this space where the 5th generation of woman calls upon guidance is where your home care journey begins. Like the novel Water For Chocolates, we hope our intentions for a peaceful home get infused into each RICA provision that crosses your threshold. 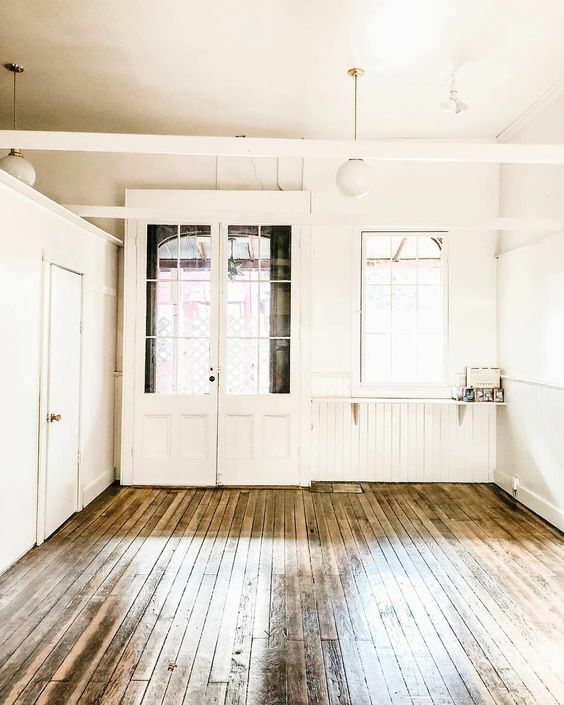 Mopping the floors can be an exchange of clean + dirty water or a ritual infusing your grounding platform with a scent that reminds you this space is special and not to be taken for granted. To do that, mix up some low sudsing hot soapy water then add 2 Tablespoons of WHITE MIST ROOM SPRAY to the mopping solution. Post-mop, everywhere your feet hit your newly cleaned floors will kick up some of that drop-by-drop blended selfcare into your home. Our Linen Drawer Sachets come in packs of 4. You can toss one sachet in each drawer of your dresser. Hang one on a hanger of your go-to spring coat so it will smell fresh every time you go to toss it on effortlessly. Tuck away your winter wardrobe with sachets, so when you pull them out again in the fall, you can feel confident they smell fresh and not musty. Pop one or as many as you want in your car or anywhere else you need a little extra RICA. Here’s where we dive into our RICA hack. To scent the room while you vacuum, carefully untie one sachet and empty contents into sealable glass container. Into an empty vacuum dust chamber, sprinkle ¼ teaspoon of scented sachet kernels. The kernels will fragrance the air while you vacuum, making a freshly vacuumed room extra rewarding. Making the bed? Lift and spitz some White Mist Room Spray between your fitted and top sheet. When you pull back the linens later to slide into bed, you’ll be tickled pink by how special it feels to have a secret waiting for you. Go to bed with a knowing smirk on your face. Dishes may very well be a least favorite chore at RICA. Sure, a bath is our favorite past time, but soaking in greasy old food water that stripes moisture is no one’s friend. Keep a jar of Butter All Over near your kitchen sink to quickly revive pruned hands and cuticles before they dry out with a harsh crack. Lighting a candle or kindling a fire can signify the beginning of a ritual or ceremony. As we consider home care as selfcare and how to make the space you call home into a sanctuary for your well-being. Lighting a candle is a simple task that can change the way you start to interact with your whole home or even a single room where you and your candle can burn bright. A home can be so much more than where we lay our weary heads at day’s end. It can be the place where you find yourself, decide to start a new journey, gather with friends, a personal spa retreat for one and the respite you need to take on the whole world.